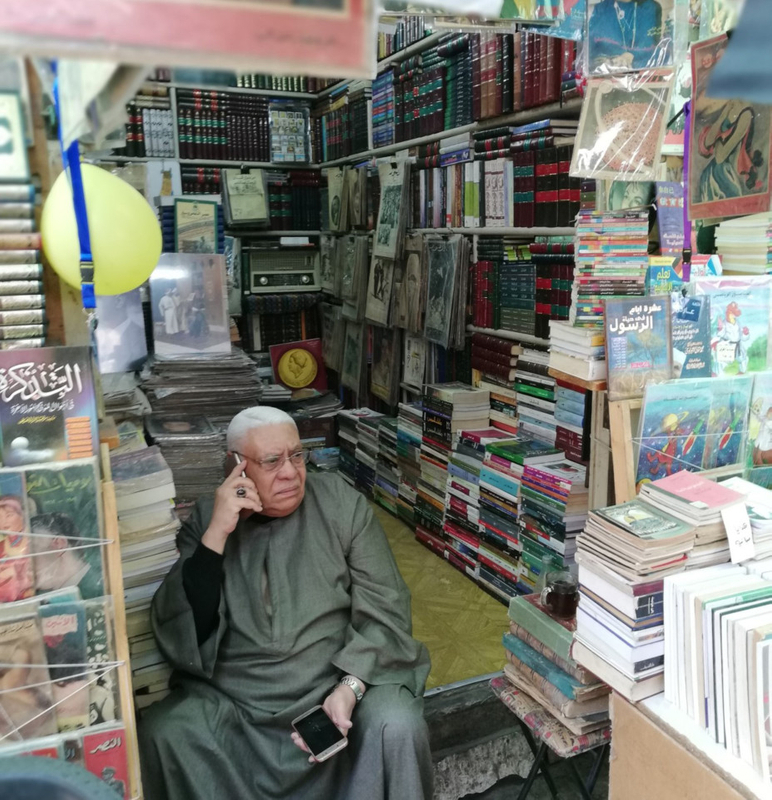 Cairo: Crouching at the doorstep of his kiosk in central Cairo, Harbi Mahasab cannot believe that he will miss the upcoming edition of Egypt’s annual book fair. 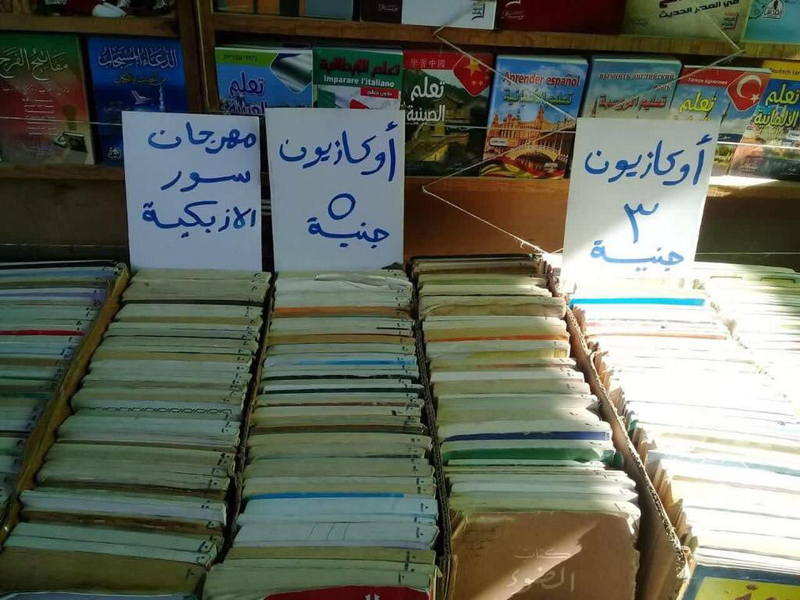 The veteran vendor of old books and his colleagues have decided to boycott the 50-year-old event, due to begin next week, over a dispute with the state organisers. 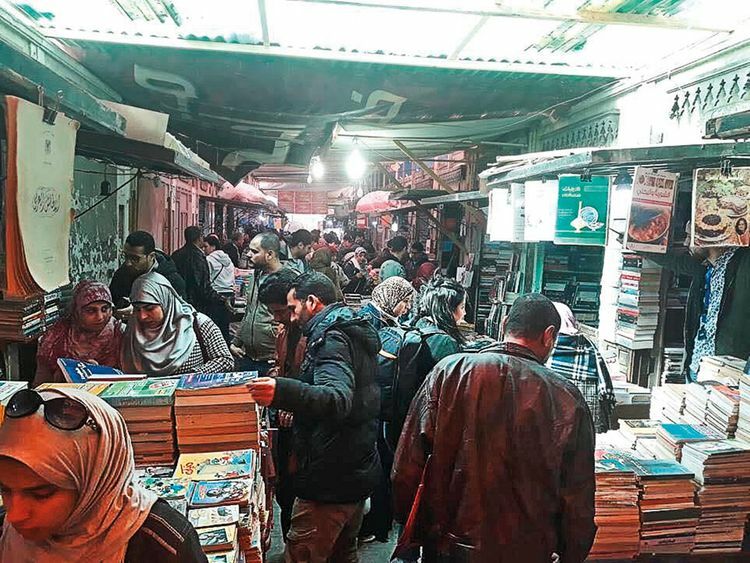 The sellers deal in rare and second-hand publications at a famed market made up of rows of stalls nicknamed Sur Al Azbakia or the ‘Wall of Al Azbakia’ located next to a major station of the Cairo subway system. “I have participated non-stop in the Cairo Book Fair for at least 25 years. Unfortunately, this year Sur Al Azbakia will not be there because of the Culture Ministry ‘s intransigence,” Mahasab told Gulf News. The Cairo International Book Fair, the Middle East’s oldest, will mark its golden jubilee this year. Its latest edition will be held in the Cairo suburb of Al Tajamoa instead of the quarter of Nasr City in the east of Cairo where it has been held for the past years. The new location has been at the centre of a row between the organisers of the event and Sur Al Azbakia traders. “We were surprised by reducing the space allocated to us on the new fair grounds,” Mahasab said. “We were told that only 33 out of the 118 kiosks at Sur Al Azbakia can participate in the fair. The offer means that the majority of the traders will be deprived of doing business at the fair, which they await every year to sell their stocks of books,” he said. Sur Al Azbakia has been a feature of the Cairo Book Fair for years. In an attempt to overcome fallout of their non-participation, sellers of old books have come up with a novel idea: organising their own fair. This week, they unveiled the ‘Sur Al Azbakia Book Festival’, which runs for a month. They have turned to the Internet to tout the event, promising book hunters unbeatable discounts of up to 70 per cent. However, Mahasab is quick to deny that theirs is vying with the state fair. But some dealers at the Sur Al Azbakia market sound skeptical. 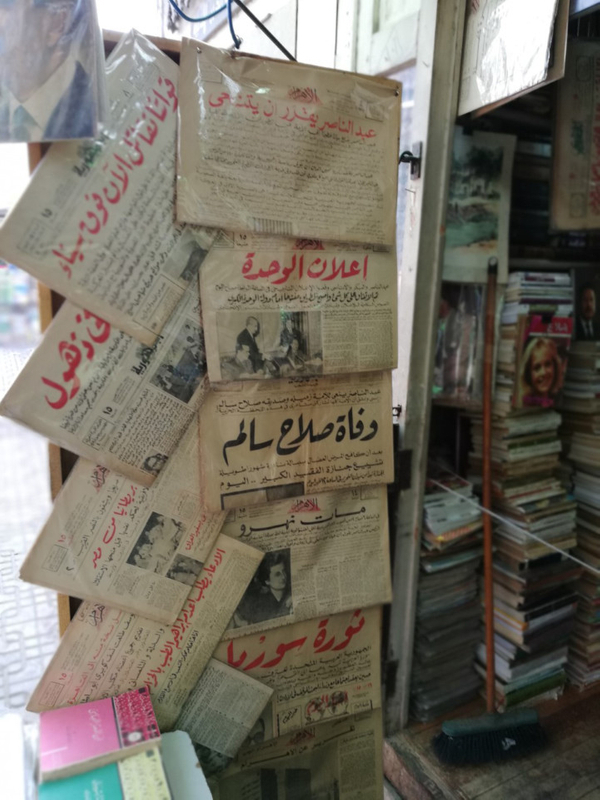 The front of Zaki’s kiosk was covered with copies of old newspapers covering historic Egyptian events. “The Culture Ministry has weakened the Cairo Book Fair by setting unfair terms for our participation,” Zaki said. However, culture officials have denied the claim. “The problem has resulted from the limited area of the new site of the fair. 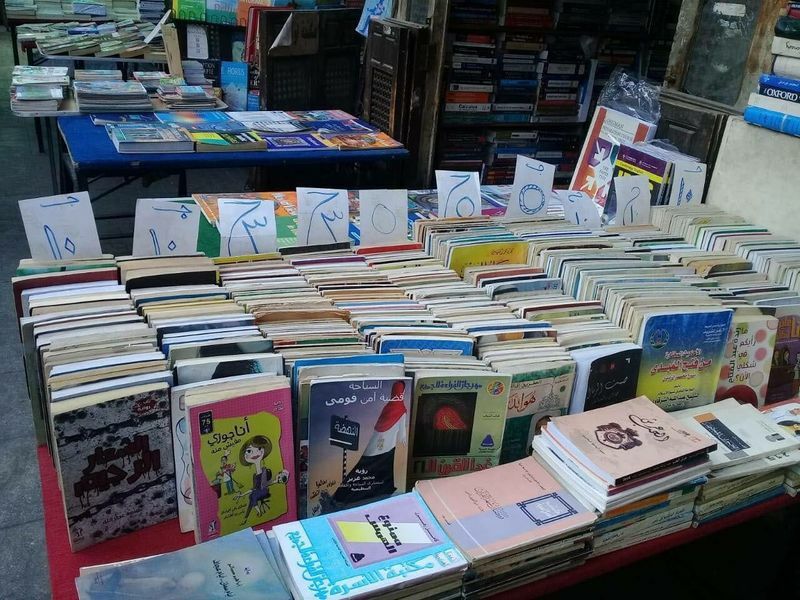 It has dropped from 65,000 square metres [of the previous fair] to 45,000,” said Islam Bayoumi, an official at the state agency organizing the Cairo Book Fair. “We explained the situation to the Sur traders, but their answer was: ‘Either we all participate or stay away.’ We unsuccessfully tried to make them change their minds and promised to give them more space next year,” Bayoumi told Gulf News. Sur Al Azbakia is named after the Al Azbakia Botanical Garden inaugurated in the late 19th century in the Ataba Square in Cairo. Originally, the Sur Al Azbakia market was established in the early 20th century in the vicinity of the Egyptian Opera House that was gutted in a blaze in 1970. Over the years, Sur Al Azbakia has been relocated several times as part of government efforts to overhaul central Cairo.